Discount School Supply Solution: With Discount School Supply's 110% Lowest Price Guarantee, you can find incredible savings on top quality classroom materials every day. And don't forget that you can get FREE DELIVERY on in-stock orders over $79. Moms, dads, teachers and caregivers: stretch your budget further with great deals on art supplies with our Colorations® brand crafting materials. Here's one of many great money-saving deals: Colorations® Rotating Organizer ONLY $5.97. That's 79% OFF the retail price. You'd save $23.67! Discount School Supply Solution: With 4 regional warehouses, your in-stock order will be shipped and delivered within just a few days. In fact, 97% of our customers receive their in-stock orders in just two business days or less! For example, if you order the Crayola® Markers Super Classpack® - Set of 256 on Monday morning, your markers could be coloring and crafting in your home, classroom or learning center by Wednesday! How's that for great time management? Discount School Supply Solution: It's all about the kids at Discount School Supply! Early childhood education is at the heart of what we do here at Discount School Supply. If it isn't great for early learners, Discount School Supply doesn't sell it. 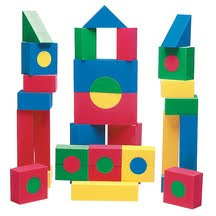 Stimulate quality play time with creative dramatic play items. 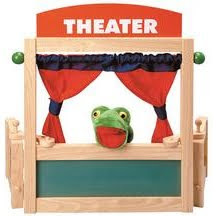 For example, Discount School Supply's Tabletop Theater is a top-rated product kids will love. Put on a puppet show and get everyone engaged in imaginary fun! Energize children with quality active play products. For example, the Obstacle Course Activity Set - 70 Pieces is great for open-ended play. Let the children set the rules with the adults and really have some fun! Help foster little artists' creativitiy with arts and crafts kits like the Small Classroom Art Kit. Use the kit or other craft materials to Decorate your Own Papier Mache Flower Pots - Set of 12 or Create Your Own Wooden Puzzle - Set of 12 -- fun for all ages! Discount School Supply can't help you with all resolutions, but we can certainly save you money, time and help your young learners. Find out more by clicking here. Eleven pipers piping? Seven swans a-swimming? Well, no, not on sale this week. But, at Discount School Supply our crack team of deals bloggers has prepared our own version of 12 items we think any teacher or caregiver would love to have-- all year long! "The 12 Deals of Discount School Supply" celebrates amazing savings on top quality classroom materials that Discount School Supply offers every day. 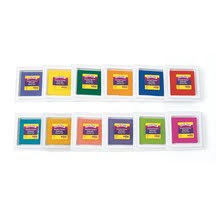 12 stamp pads with the Colorations® Stamper-Perfect Washable Stamp Pads - Set of 12 ONLY $19.99! 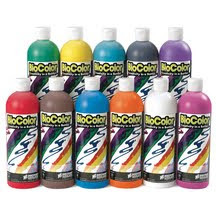 11 bottles of BioColor® paint in the BioColor® Paint, 16oz. - Set of 11 ONLY $32.89! 10 monkeys in the Ten Little Monkeys Big Book & CD Superset ONLY $24.99! 9 storage bins with the Toddler Big Bin Storage - Assembled ONLY $387.37! 8 wands in the Bubble Wand Set - Set of 8 ONLY $10.99! 7 stamping cubes with the Alphabet Stamping Cubes - Set of 7 ONLY $7.99! 6 Preschool Puzzles - Set of 6 ONLY $21.97! 5 Finger Glove Hand Puppets ONLY $14.97! 4 colors with the Four Color Pie Mat ONLY $68.74! 3 wheels with the 14" Angeles® SilverRider® Trike ONLY $139.95! 2 writing surfaces on the Two-Sided Mini Chalkboard, 9" x 12" ONLY $3.89! 1 incredible art kit with the Small Classroom Art Kit ONLY $29.99! And if that weren't enough, act now and save 10% off everything when you use Code WEBDECE. That's right! Save even more, but you have to click over to Discount School Supply today because the extra 10% lasts less than 12 days. Check out these "12 Deals of Discount School Supply" and more right now at Discount School Supply. Whatever the season, you'll find spectacular deals on top- rated products for your early childhood learners. Arts and Crafts, Furniture, Curriculum Resources and more are available at everyday low prices at Discount School Supply. Now that's reason to celebrate! How to Save 10% on EVERYTHING! Many teachers and caregivers know Discount School Supply for its top quality line of Arts and Crafts products like Colorations® crayons or BioColor® paint. 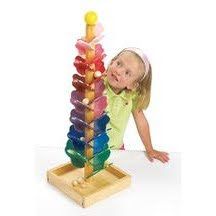 Many moms and dads know Discount School Supply for its educational toys and manipulatives like the Singing Tree Marble Run or the Foam Tabletop Unit Blocks. But did you know you can save 10% on EVERYTHING at Discount School Supply right now? First click over to Discount School Supply right here. Browse the amazing selection of classroom and early learning essentials. Find Curriculum Resources, Furniture, Active Play and Dramatic Play products. Be sure to check out our line of Infant and Toddler products as well as some great stuff for learners with Special Needs. Next, add the items you want to your Cart. After you load up your Cart with lots of great products from Discount School Supply, click on View Cart to get ready to check out. Finally, once you're at the View Cart screen, you'll have the ability to type in a "CATALOG/PROMOTIONAL CODE." In that little box, type in WEBDECE to get your 10% OFF. Pretty easy, right? Discount School Supply makes shopping very simple. Save money and time when you shop online. And if you order more than $79 of in-stock merchandise, your shipping is free! But you have to act now! The WEBDECE code expires 12/31/09 so you want to be sure to stock up on your classroom and early learning essentials today. Save 10% and get some great educational products right now at Discount School Supply. The Year End Clearance Extravaganza is going on right now at Discount School Supply. It's that simple. Use Code WEBDEC93 and SAVE! Save on Arts and Crafts, Furniture and Curriculum Resources. Save on Active Play, Dramatic Play and Manipulatives. Save on Infant/Toddler products. Save on...EVERYTHING! 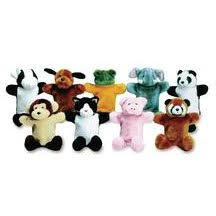 Set of 9 Super Plush Washable Animal Hand Puppets with Feet ONLY $16.99! Double-Sided Magnetic Write & Wipe Chalk Board ONLY $16.99! Find more deals like these online at Discount School Supply. Teachers and caregivers: now is the time to stock up on your classroom essentials at Discount School Supply. Moms and dads: find great educational products for your early learners at Discount School Supply. Use Code WEBDEC93 to save 10% off everything at Discount School Supply right now. Looking for a great holiday gift for your little lea rners? On a tight budget? Discount School Supply is here to help! Tabletop Theater only $29.99! This top-rated product is sure to be a hit. Children engage their creative side by putting on puppet shows. 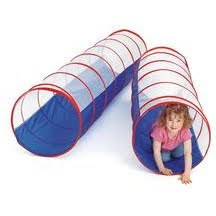 "See-Me" Tunnel only $19.95! How fun is it to crawl through this "see me" tunnel? Use it alone or join it with other tunnels for more exploring and fun. 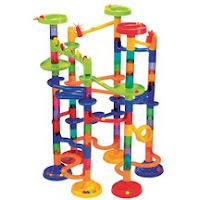 Deluxe Marble Race - 90 Pieces only $25.49! Get ready, get set, GO! It's a race to the finish, full of twists, turns and surprises - even a loopty-loop. Experience the mesmerizing power of marbles as they cascade down through the tubes. Parents, teachers and caregivers: these are just some of the amazing gifts available at Discount School Supply. Discount School Supply offers Furniture, Arts and Crafts, Manipulatives, Active Play and Dramatic Play products that also make terrific gifts for little learners, or are perfect for stocking up the classroom before the end of the year. Best of all, save 10% OFF your order when you use Coupon Code WEBDEC92. And it's easy to qualify for FREE SHIPPING on in-stock items! But act now! This 10% savings deal expires December 14th. Great gifts at great prices. All at Discount School Supply! Discount School Supply offers exciting products for your classroom or learning center every day. And throughout the year we also introduce NEW, exciting products. Case in point: the Angeles® Portable Hot Water Sinks are here! Showcased this November at NAEYC in D.C. and Winner of the Director's Choice Award in 2008 in California, the Angeles® Portable Hot Water Sinks are wowing people from coast to coast! These sinks offer an award-winning solution to local and state hand-washing requirements for licensing without the high cost of new plumbing and installation. Just add water, plug in and turn on! And for a limited time, take an extra 10% OFF and receive FREE DELIVERY when you use Code WEBDEC9. Many experts agree, fighting colds and flu starts with proper hygiene. For this reason, hand-washing is a must. Cold and flu viruses spread quickly without proper hand-washing. With an Angeles® Portable Hot Water Sink in your classroom or learning center, teachers can help prevent the spread of those nasty viruses. Looking to keep your learning area healthier this year? Angeles® Portable Hot Water Sinks are the perfect solution for any classroom or center. All sinks feature scald-free hot and cold water, a fresh water tank, a waste water tank and locking wheels to allow for placement flexibility and portability. Also, Angeles® Portable Hot Water Sinks ship within three days! Discount School Supply is the place to shop for outstanding deals on products designed with your classroom in mind. In addition to our new assortment of products perfect for helping to fight colds and flu, you'll also find everything you need for Arts and Crafts centers, Furniture, Active and Dramatic Play, Curriculum Resources and much more--always at the lowest prices at Discount School Supply. 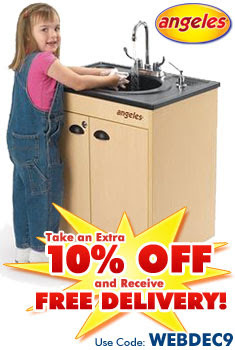 And now, Discount School Supply features Angeles® Portable Hot Water Sinks designed to make your classroom healthier. After all, a healthier classroom is a more productive classroom! Teachers and caregivers, click over to Discount School Supply right now to learn more about the NEW Angeles® Portable Hot Water Sinks. But act now to save more! The extra 10% OFF and FREE DELIVERY when you use Code WEBDEC9 is only available for a limited time! If Black Friday and Cyber Monday already passed you by there is no reason to thing the best seasonal savings are over. Discount School Supply has great deals EVERY DAY! And with the holidays upon us, Discount School Supply is featuring sensational savings on holiday gifts and crafts. 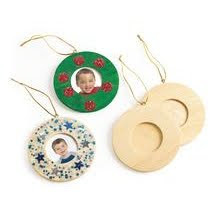 Wooden Photo Frame Ornaments - Set of 12 for only $5.99! 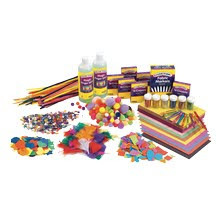 Decorate with paint, markers, pencil, beads, crayon, glitter and more (not included) for a truly special holiday gift. Balancing Bear Scale for only $12.99 (pictured). This is a perfect educational gift for your little learner. Instant Snow for only $11.95. It's faux snow! Instant snow is a revolutionary, super-absorbent polymer that transforms when mixed with water. And if you purchase most holiday items by December 23rd, you're order will ship before 2010. Find more great deals that are light on the wallet and big on the holiday cheer at Discount School Supply. Choose from Arts and Crafts, Active Play, Dramatic Play, Manipulatives, Furniture and more for your home and classroom. Parents, teachers, caregivers and everyone with little learners: find top-quality educational supplies at affordable prices every day at Discount School Supply. You may have missed Black Friday and Cyber Monday, but you don't want to miss out on Discount School Supply's amazing deals. Click here right now! Paper punches are a wonderful crafting tool for adding embellishments to cards, scrapbooks, photo frames and more. This set of 10 Easy to Use Lever Punches available at Discount School Supply gives you plenty of design options for your next crafting project. "Even a 3 year old can use these! These are great for punching through foam and there are so many creative activities one can do with them, but the best thing about them is that my 3 year old daughter can use them without any trouble. Standard hole punches are too large and require a strong grip, whereas these are stable and don't require much effort to push. She LOVES crafting with all the various shapes in this set, and the price for 10 together is better than I could find for even three sold separately!" Warehouse Inventory Sale: 10% OFF Everything! Discount School Supply is the best place to find everyday savings on classroom supplies. But today is special because the savings just got better. That's right, for a limited time early childhood educators and parents can shop the Warehouse Inventory Sale at Discount School Supply and take an extra 10% OFF everything. That means an extra 10% OFF Arts and Crafts, Active and Dramatic Play, Curriculum Resources, Furniture, Manipulatives and much, much more. Moms, dads, teachers and caregivers: act now to save even more on everything at Discount School Supply, just in time for the holidays and end-of-year stock ups. 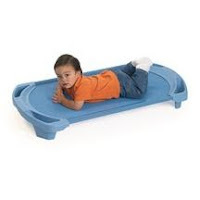 Find deals that will floor you like the Angeles® SpaceLine® Single Toddler Cot only $26.95! These top-quality cot is also top-rated. Find colorful savings with Colorations® Simply Washable Tempera Paints, Gallons - Set of 11 for only $89.00! Tet the best quality tempera paint at the lowest price as well. Find more amazing deals on classroom essentials at Discount School Supply. Be sure to use Coupon Code WEBDEC9 when you order to take advantage of this incredible offer. But hurry! Our Warehouse Inventory Sale is for a limited time only! Click here to save big right now. Before you know it, the holidays will be here. Are you ready? Wanting to avoid the hustle and bustle of crowded toy stores, but need quality gifts for the kids? Don't worry; Discount School Supply is here to help. Our top-quality products for children, from games, educational toys, puzzles, books, arts & crafts items and more, all at the guaranteed lowest prices, can help make a wonderful holiday for you and your little learners. 1) Big Savings: Discount School Supply shoppers save money every time they shop. For the holidays, Discount School Supply brings you even deeper discounts. Save 20% or more on fun and educational gifts right now with our Holiday Gifts sale! 2) Great Gifts: What better way to show your little learners you care than with a gift that's fun AND fosters learning and growth? For example, Foam Tabletop Unit Blocks - 68 Pieces for only $23.16. 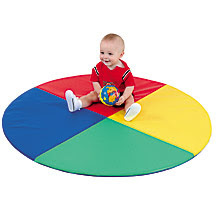 Or a Toss and Learn Game Board on sale for only $28.79 at Discount School Supply. 3) Save Time: Shop online at Discount School Supply and avoid the headaches and hassles at malls and shopping centers. Point, click and enjoy plenty of free time by shopping at DiscountSchoolSupply.com! Our super-fast delivery from four nationwide warehouses means you'll get your order in just a few business days. Save money, give great gifts and save time when you shop at Discount School Supply. Choose from a wide variety of categories like Arts and Crafts, Active Play, Curriculum, Furniture, Dramatic Play, Manipulatives and more everyday at Discount School Supply. But hurry! Our 20% OFF Sale on Holiday Gifts will end November 30th. Click here to act now! Save Big on Faith Based Products Too! Great savings on quality school supplies is the name of the game at Discount School Supply. But did you know that Discount School Supply also offers the same excellent savings on quality faith-based products? That's right! 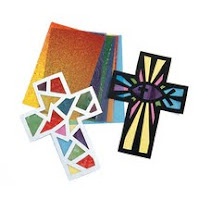 Shop Discount School Supply right now and find tons of inspirational classroom supplies for faith-based early childhood learning centers. 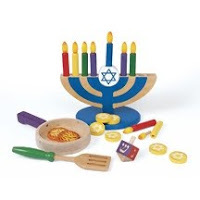 Wooden Hanukkah Play Set for only $32.95. Play Set includes; menorah, 9 candles, dreidel, 6 coins, 2 latkes, spatula, pan, storage bag and activity guide. Noah's Ark Floor Puzzle for only $13.95. A truly engaging, hands-on way to teach children about the story of Noah and the Ark. Baby's First Faith Lullabies for only $6.64. Soft, quiet instrumental arrangements of traditional lullabies, classic hymns, and favorite children's choruses gently lead young ones off to a peaceful rest. With the holidays here, it is a great time to save some money on an educational gift for your little learner. But these deals won't last forever, so shop now at Discount School Supply. Moms, Dads, Caregivers and Educators: shop for all your classroom supplies at Discount School Supply. Save money and time when you shop online. And be sure to shop the great deals on inspirational values products and other faith-based materials for your home or classroom. "The Most Amazing Paint You'll Ever Use! I really can't say enough good things about BioColor Paint. We started using it the day it arrived. We never got past the "ink blot test". In addition to this kit I ordered a pack of white construction paper and the only reason it took us 4 days to go through it was that we had to keep stopping paintin because we ran out of room for our artwork to dry! I have always done art projects with my daughter, but this is the most fun I have ever had. I have used it for sponge painting on some cheap canvases to make artwork to hang in my room. It looks like something expensive! The paint will hold it's texture when it dries,ie.,if you sponge it on or apply with the scraping tools. I have also used it on metal cans and on glass jars with great results. This kit has nearly everything you could ever want or need. I highly recomend ordering LOTS of construction paper and an extra dozen Nancy bottles so you can mix a whole set with the Shimmer It and/or Sparkle It. For the holidays,also, you shoul order extra of the clear ornaments. They are so much fun to "paint", you'll wish you had. The clean up is amazingly easy!" Give the Gift of Art and SAVE! With the holidays fast approaching, now is the time to get started on some festive crafts. Giving the gift of art this year? Look no further than Discount School Supply to find the best deals on top-rated materials to make your holiday crafts sparkle! That's right! For a limited time, save 20% on Crafty, Decorative and Sparkling Holiday Projects at Discount School Supply. Colorations® Extra-Safe Plastic Glitter - 1 lb only $4.79! 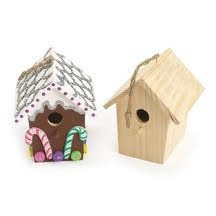 Wooden Birdhouses - Set of 6 only $8.79! 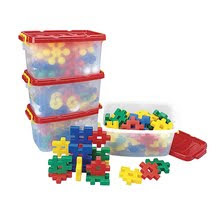 20,000 Regular Fuse Beads & 4 Pegboards in a Bucket only $18.39! Moms, Dads, Teachers and Caregivers: there are more sparkling holiday deals on your favorite Arts and Crafts materials right now at Discount School Supply. And be sure to check out the other great deals at Discount School Supply everyday. Find top quality materials for your early learners at affordable prices. Choose from Arts and Crafts, Furniture, Active Play, Dramatic Play, Manipulatives, Curriculum Resources and more. The holiday deals only last until November 23rd, so act now! Give the gift of art and save some money at the same time. Save time and money when you shop online at Discount School Supply. 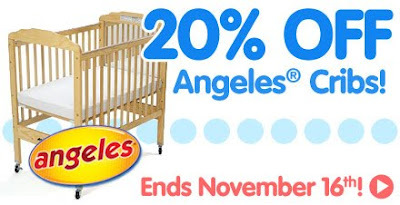 20% Off Angeles® Cribs! Sale Ends Soon! Top-quality and top-rated Angeles® Cribs and Accessories are on sale right now at Discount School Supply. Save 20% on Angeles® Cribs and Accessories when you shop online at Discount School Supply. But act now because these savings won't last! This sale ends November 16th! Moms, dads, caregivers and teachers: here is your chance to save a bundle on a great crib for a bundle of joy in your care. These budget-saving deals will let you sleep easy at night. More importantly, your little one is assured a great rest in a top-quality Angeles® Crib. But don't fall asleep on this deal. Sale ends November 16th so click over to Discount School Supply right now! Let your children's creativity sparkle and shine with Colorations® Washable Glitter Paint, available exclusively from Discount School Supply. Painting is always a great way for kids to explore their own creativity, and with our Colorations® Washable Glitter Paint, children can add that extra element of fun and pizazz! Available in 11 colors: blue, gold, green, orange, purple, red, silver, turquoise, magenta, black or yellow. My 5 and 2 year olds LOVE to paint, and this paint is their favorite. They don't ever use their other paint, which is just your standard colors and no glitter. They love to feel like artists with this paint, and the added glitter makes their paintings sparkle in the sun. It is amazingly easy to wash off - I usually get a little crazy when the kids get stained with markers and paint, but I am a relaxed mom when they spill this or make a mess. It comes off their skin and out of clothes VERY easily!!! I will keep buying this as my kids get low on their paint supplies." Thank goodness for great deals! Right now at Discount School Supply, we are thanking our customers with an amazing deal: SAVE 15% on Your Top 15 Favorite Five Star products. Attention moms, dads, caregivers and early childhood educators: we have great deals on top-rated products that will have your little learners thanking you! Brawny Tough Rainbow Parachute only $13.95. 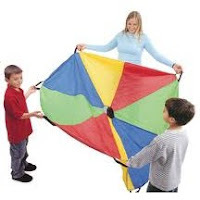 Develop social participation, teamwork and motor coordination with these strong, durable, lightweight nylon parachutes. Colorations® Chubby Crayons - Set of 200 only $18.95. These beautiful, bright crayons offer exceptional quality for such an incredibly low price. 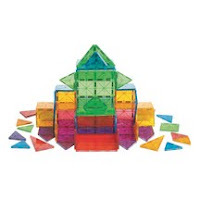 Magna Tiles® Classroom Value Pack 100 Pieces only $119.95. Attract young minds to science and math with this creative, magnetic set. But that is not all. Click over the Discount School Supply right now to find all 15 of Your Top 15 Favorite Five Star products for 15% OFF. Arts and Crafts, Furniture, Dramatic Play, Active Play, Manipulatives and more are all on sale right now at Discount School Supply. Hurry, these amazing savings will only last until November 16th. Shop Discount School Supply today to take advantage of this limited-time offer. Let Discount School Supply thank you with extra savings! Save Time & Money Online! Discount School Supply is the place to go for spectacular deals on early childhood classroom materials. Find huge savings on Arts and Crafts, Manipulatives, Furniture, Active Play, Dramatic Play and more everyday at Discount School Supply. But saving money is just part of why Discount School Supply is the place to shop for your little learners. 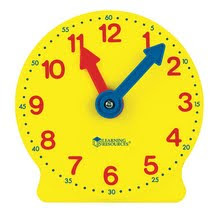 By shopping online at Discount School Supply you also save time! Teachers, caregivers, moms and dads: couldn't you all use some more time in your day? Think of all that you could do with some extra minutes! Some extra minutes could really go a long way, especially as the holidays are fast approaching. So instead of scurrying and hurrying, ease your worrying by shopping online at Discount School Supply! In just a few days your order will arrive right at your doorstep; no hassles, no crowds, no worries. Visit Discount School Supply every day for terrific deals for your home, classroom or learning center. And save time and money by shopping online with Discount School Supply this holiday season. It's holiday planning time and Discount School Supply is here to help. Right now Discount School Supply is featuring over 100 quality educational products all for under $30! These products include educational toys and inspirational products that are sure to be a big hit for your little learners this holiday season. Kids will marvel at the mesmerizing power of marbles cascading down tubes with Discount School Supply's Deluxe Marble Race - 90 pieces. This top-rated product is on sale for only $25.49. Perfect for cooperative fun in the classroom or at home, this customer-favorite is a great pick for children of many ages. Early learners practice fine motor skills and have fun while dressing Discount School Supply's Boy and Girl Dressing Dolls - Set of 2. 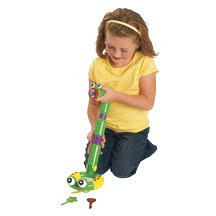 This popular educational toy is on sale today for only $29.89. 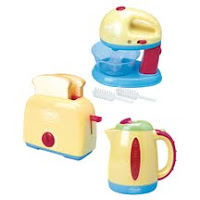 Picture some fun in the kitchen with our Discount School Supply Kitchen Appliances - Set of 3. This fantastic set is just what little cooks need for mixing, brewing and pop up fun in the kitchen. Right now,this adorable set is only $29.95 at Discount School Supply. Supplies are limited on this set so act now! Shop Discount School Supply for more great educational products for children at great prices, perfect for holiday gifts, crafts and more. Parents and teachers of young children, you'll love our incredible deals to help make your holidays more educational (and budget-friendly,) all from Discount School Supply. Hurry, these amazing savings won't last forever. Shop Discount School Supply today and save more on your holiday gifts for kids! Final Days for Huge Savings, Baby! There are only a few days left to get 20% OFF Discount School Supply's infant and toddler products. Cribs, strollers, rockers, furniture, soft toys and games for your littlest learners are all 20% OFF. But only until November 2, so act now! You can always find spectacular savings on top-rated products everyday at Discount School Supply. Choose from Arts and Crafts, Manipulatives, Active Play, Dramatic Play, Curriculum Resources, Furniture and more online every day at Discount School Supply. But Discount School Supply's HUGE sale on infant and toddler products ends in just a few days! Don't miss out! For Happier Holidays, Plan Now and Save! The calendar says Halloween but our latest deals scream Happy Holidays! Right now Discount School Supply is offering over 270 excellent bargains on educational toys, crafts and gifts specifically designed for the holidays. Fantastic Blank Paper Fans - Set of 12 for only $6.99. Creating vibrant turkey tails with these fans is a breeze! Classroom Canvas Quilt - 12 Pieces for only $10.95. Compile all your best holiday art into one keepsake the class will be sure to treasure! Blank Canvas Aprons - Set of 12 for only $18.99. 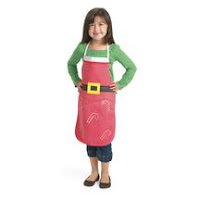 Personalize your apron with your own holiday artwork and decorations! Imagine the fun your little learners will have creating holiday artwork that they can share with their loved ones. Holiday crafts are often the most cherished gifts of all! So act now to save big on great holiday crafts, educational toys and more at Discount School Supply. It's never too early to plan for the holidays especially when these deals won't last forever. Check out Discount School Supply right now! Time Running Out on Huge Savings, Baby! Time is running out on the big savings, baby! Discount School Supply is offering at least 20% OFF all infant and toddler products only until November 2nd. Cribs, strollers, rockers, furniture, soft toys and games for your littlest learners are all 20% OFF for a limited time! But those aren't the only deals at Discount School Supply. Find spectacular savings on over 550 terrific infant and toddler products while supplies last during our Infant and Toddler Sale. Discount School Supply offers great savings on top-rated products everyday! Arts and Crafts, Manipulatives, Active Play, Dramatic Play, Curriculum Resources, Furniture and more are always on sale at Discount School Supply. But hurry! Our 20% savings on all infant and toddler products only lasts until November 2nd. Act now to save big. Don't miss out! Check out Discount School Supply's Budget Boosters sale right now! During this sale, find tons of great products for $2.99 or LESS. That's right. For Discount School Supply's Budget Booster sale, there is nothing over $2.99. Don't think you can find some great stuff for UNDER $2.99? 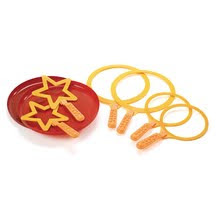 Pipe Cleaners - 100 or 1,000 Pieces ONLY $0.99! Rhythm Sticks - 10" ONLY $1.79! 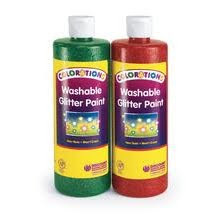 Colorations® Washable Glitter Paint, 16 oz. ONLY $2.99! And find more top-rated products at rock-bottom prices online right now at Discount School Supply. It's all in a days work at Discount School Supply where we continue to offer great deals on classroom essentials. Moms, Dads, caregivers and teachers: save on Arts and Crafts, Furniture, Active Play, Dramatic Play, Manipulatives and more for your early learners on line right now! Save more and learn more at Discount School Supply. Discount School Supply continues to blast the savings during our huge Clearance Blow Out sale online. Save up to 68% on over 150 early learning products right now! Shop for Arts and Crafts, Active Play, Dramatic Play, Manipulatives, Furniture and tons of other classroom resources for the best prices at Discount School Supply. Shop clearance items and get amazing deals on top-rated products. • My Message Dry Erase Boards - Kit for 12 only $6.97! Get creative with the whole kit. • Giant Flower Shapes - 24 Pieces only $3.97! Great for collages. • Metal Detector only $10.97! Go on a treasure hunt and encourage discovery. Find more deals like these right here and right now with Discount School Supply's Clearance Blow Outs! This is a limited time offer so moms, dads, caregivers and teachers click here to find Discount School Supply's huge Clearance Blow Out sale online. For the best discounts on school supplies, look no further than Discount School Supply. It's time for some more big savings, baby! For a limited time, Discount School Supply is offering 20% OFF all infant and toddler products! Cribs, strollers, rockers, furniture, soft toys and games for your littlest learners are all 20% OFF! Parents, teachers and caregivers: come on over to Discount School Supply and find drool-worthy deals to keep your infants and toddlers happy and healthy. Like our Germ-Free Baby Changer: only $27.96 (usually $44.95, SAVE 38%!). 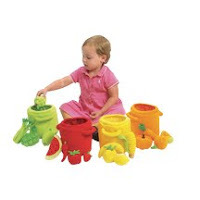 Or our Fruit and Vegetable Sorting Set - 20 Pieces: only $30.36 (usually $44.55, SAVE 32%!). But those aren't the only deals at Discount School Supply. Find spectacular savings on top-rated products everyday at Discount School Supply! Arts and Crafts, Manipulatives, Active Play, Dramatic Play, Curriculum Resources, Furniture and more are always on sale at Discount School Supply. Find top quality products at rock-bottom prices for all your early learners at Discount School Supply. After hours of learning and playing, nap time can be a crucial part of a child's day. Top-rated Angeles® SpaceLine® Standard and Toddler Cots are the perfect way to make sure your little ones get the rest they need. Act now at Discount School Supply and get 20% OFF Angeles® SpaceLine® cots! All Angeles® SpaceLine® Cots ship fully assembled and they boast a 7-year warranty. 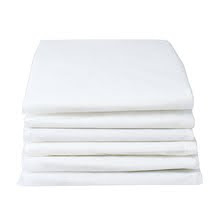 They are easy to clean and easy to store. In fact, they use half the storage space needed for normal cots! Choose from Slate Blue, Teal Green, Ocean Blue and Wedgewood Blue. Buy individually or save even more when you buy in sets of 5. These truly are best-in-class cots. Just another great product at a great price from Discount School Supply. Shop for all your classroom essentials at Discount School Supply. Find spectacular deals every day on Arts and Crafts, Active Play, Curriculum Resources, Furniture, Manipulatives and more. Moms, dads, caregivers and teachers: Discount School Supply continues to provide all you need to keep your little ones educated, entertained and rested! So don't delay! This amazing deal for 20% OFF all Angeles® SpaceLine® cots will only last until October 26th. Click HERE to save on SpaceLine® today!